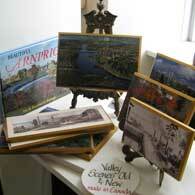 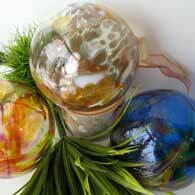 Cedar Mountain Studio is located on charming Salt Spring Island, British Columbia. 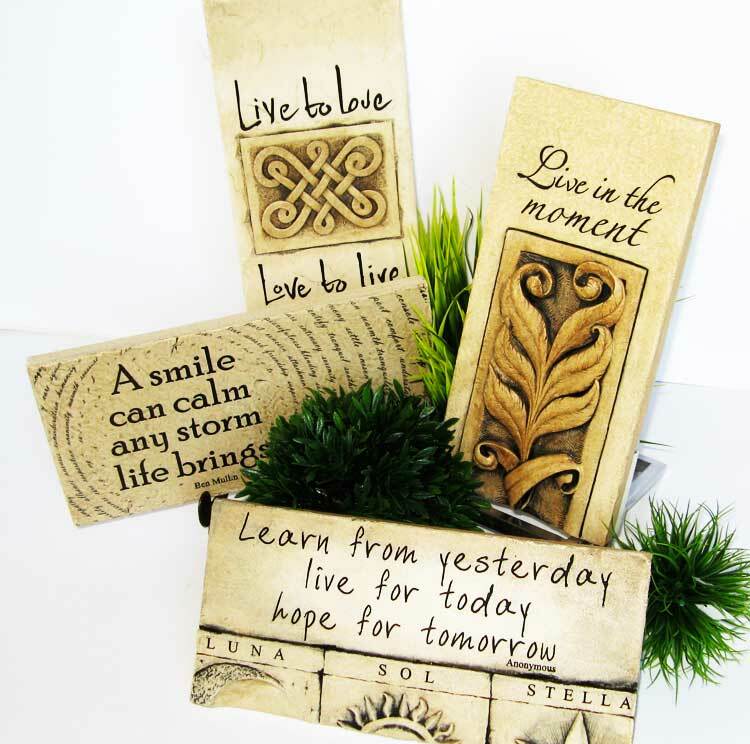 Inspired by the beauty around them, and the local artistic atmosphere, Don and Suzanne create original decorative “lost and found art blocks” designed to “make you stop, read, ponder and laugh”. 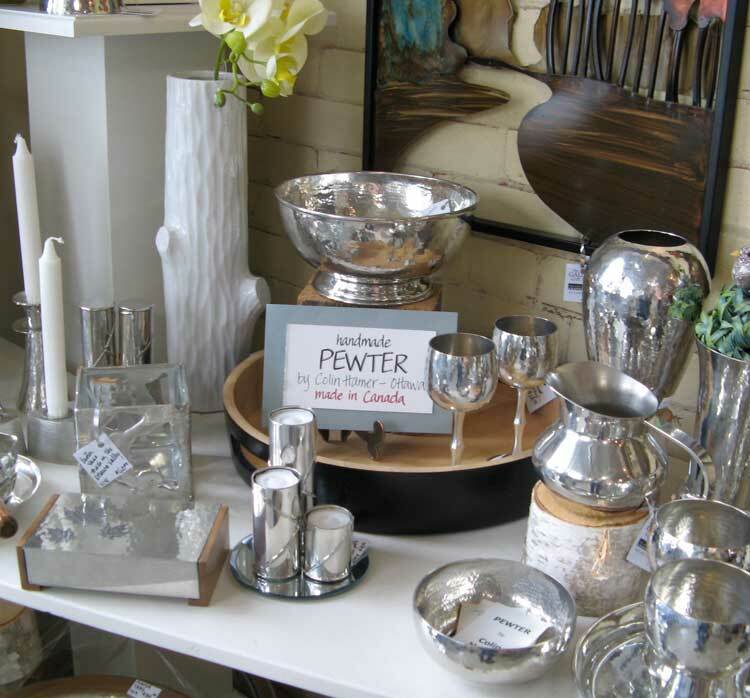 Beautiful, useful items made of burnished pewter are each handmade in Ottawa by retired metallurgist Colin Hamer. 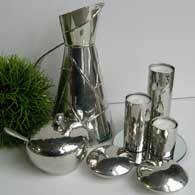 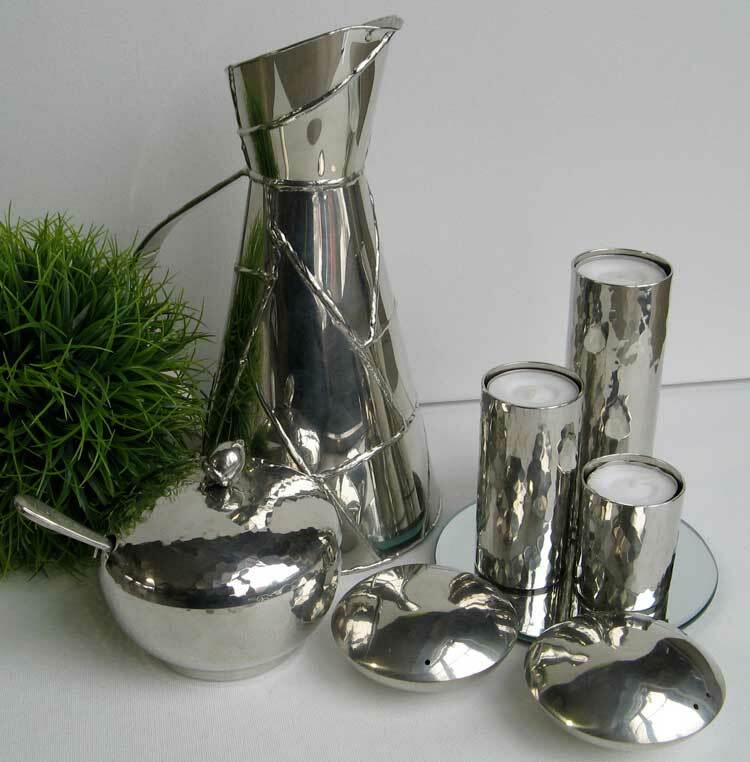 Pewter is non-tarnishing, lead-free, easy to care for, steeped in tradition, pleasing to the eye and touch. 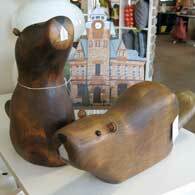 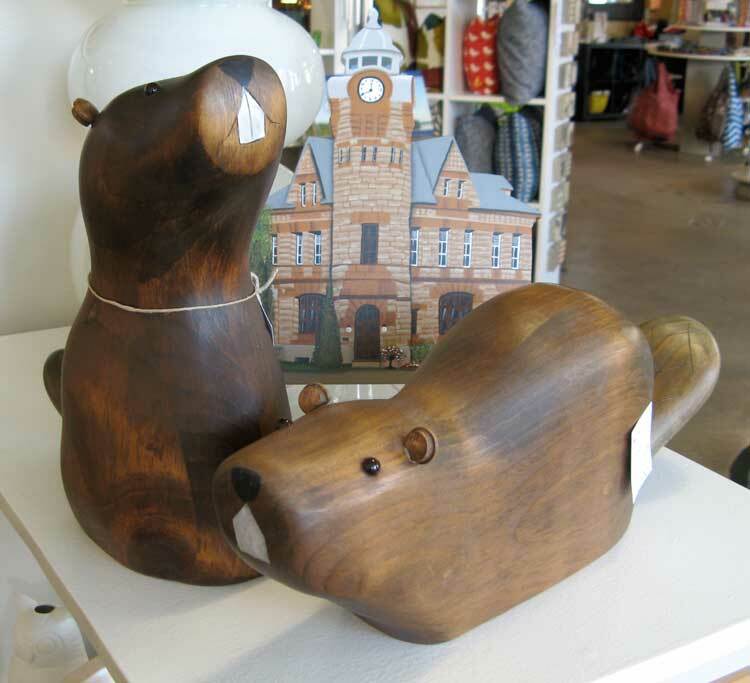 In a workshop in Quebec, carvers create wooden bears, moose, beaver, birds and other quirky creatures in various sizes. 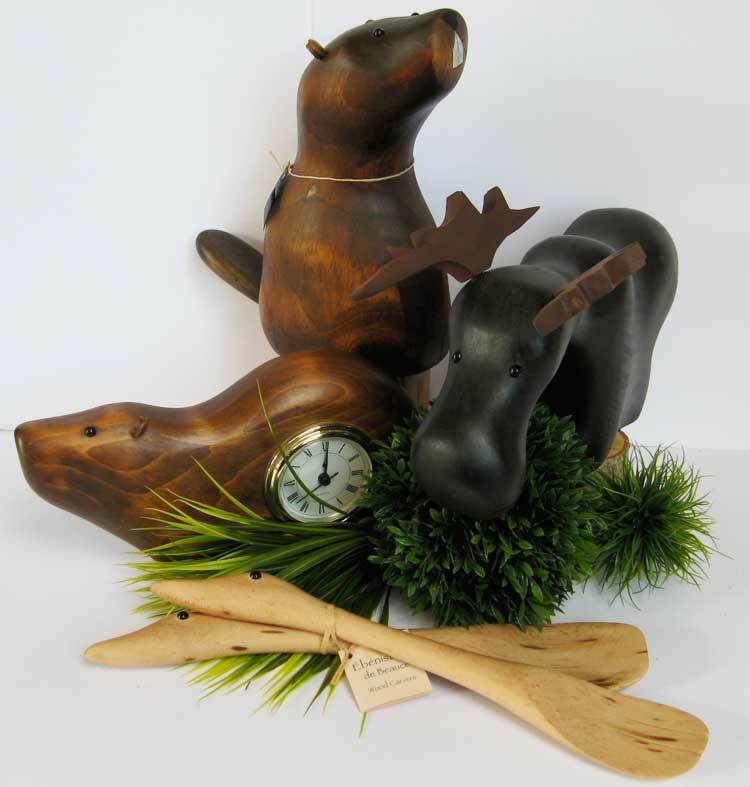 Some are turned into useful items like clocks, but most are just charming sculptures to be enjoyed. 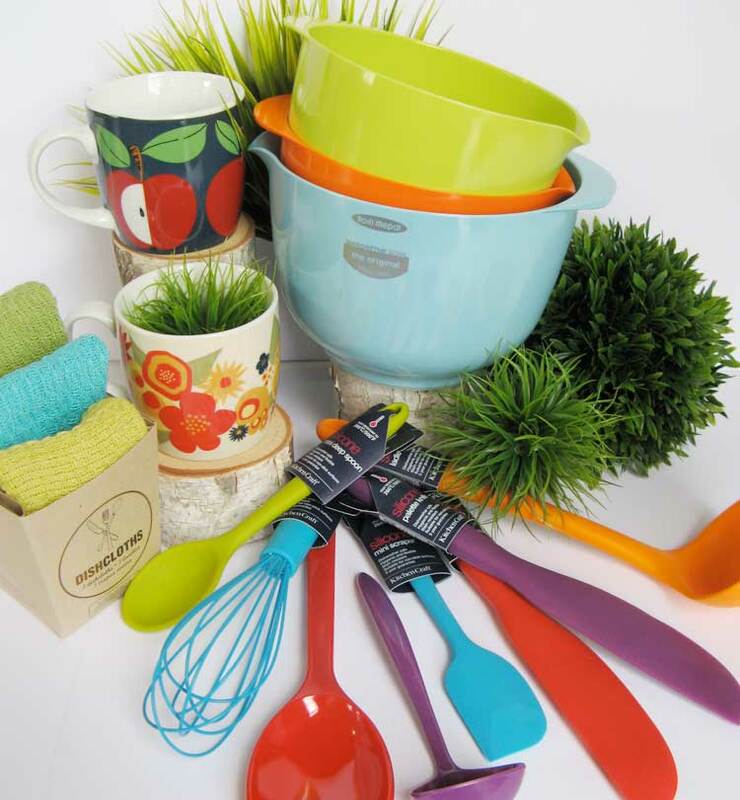 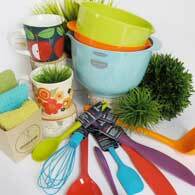 We have colorful Rosti Margrethe bowls, Vivid Allon market baskets, Klip It containers, Danica’s pretty table linens, Anne Taintor’s humorous serviettes , Torre and Tagus decorative serving pieces,to name but a few! 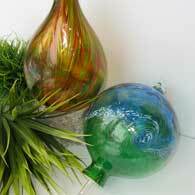 Kitras Art Glass, located in Fergus, Ontario. 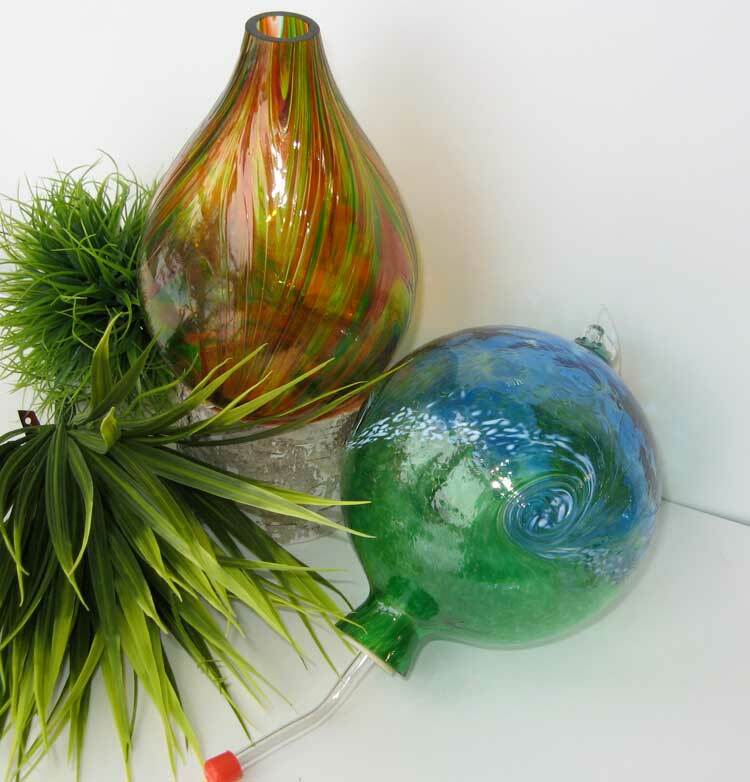 is an excellent Canadian glass-blowing studio that produces beautiful handmade, innovative and affordable glass objects for home and garden. 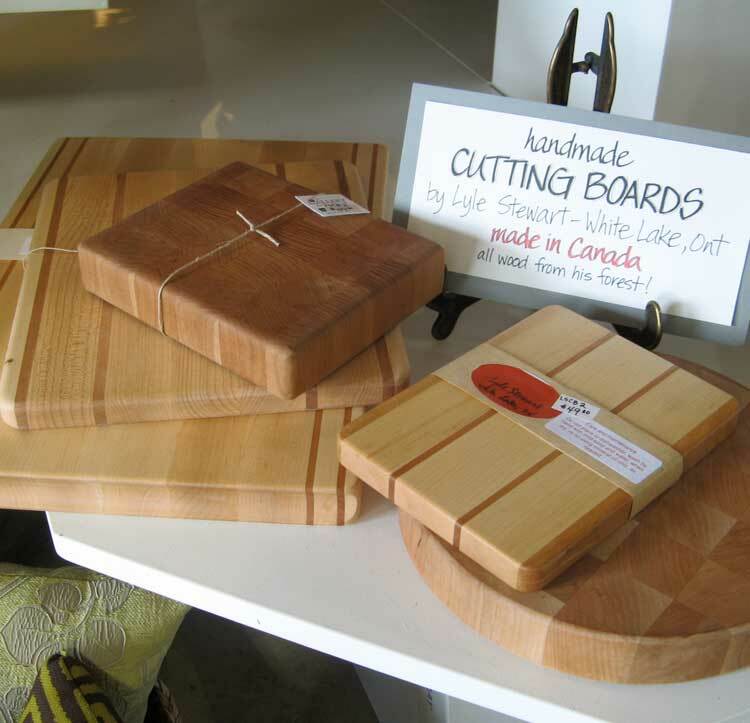 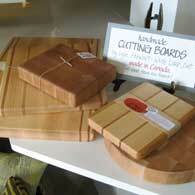 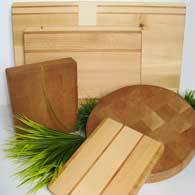 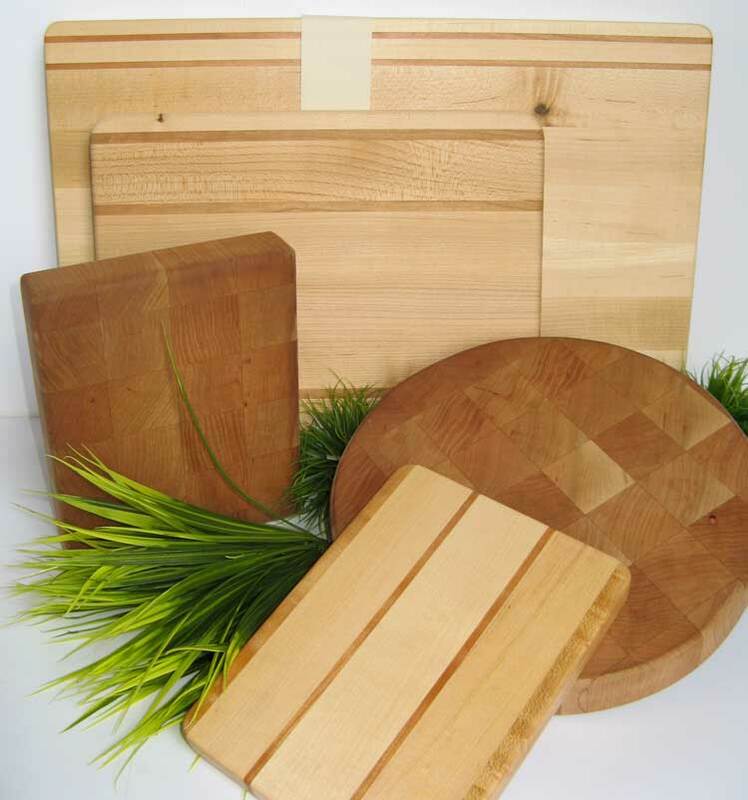 Maple, oak and walnut, grown in the Ottawa Valley, have been turned into beautiful cutting boards and useful, attractive jewelry holders by local craftsman Lyle Stewart of White Lake. 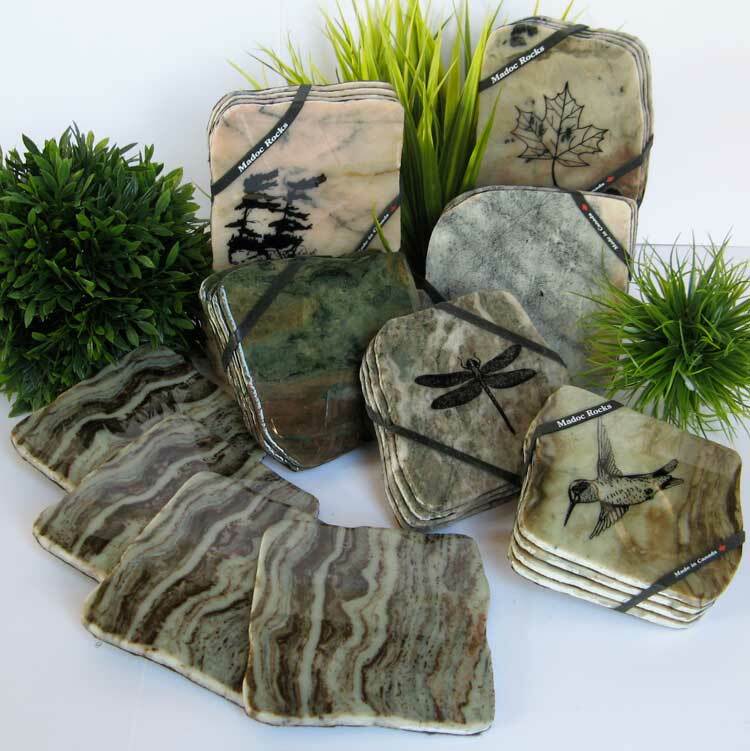 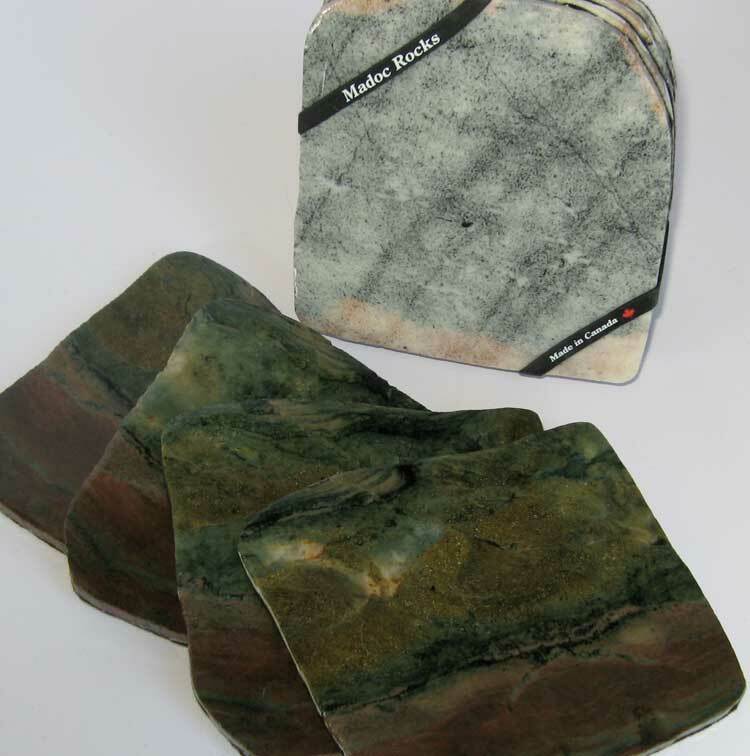 “SERVE IT ON THE ROCKS!” Madoc Rocks, a family-run business, creates products made with marble from the Madoc area, in Eastern Ontario on the edge of the Canadian Shield. 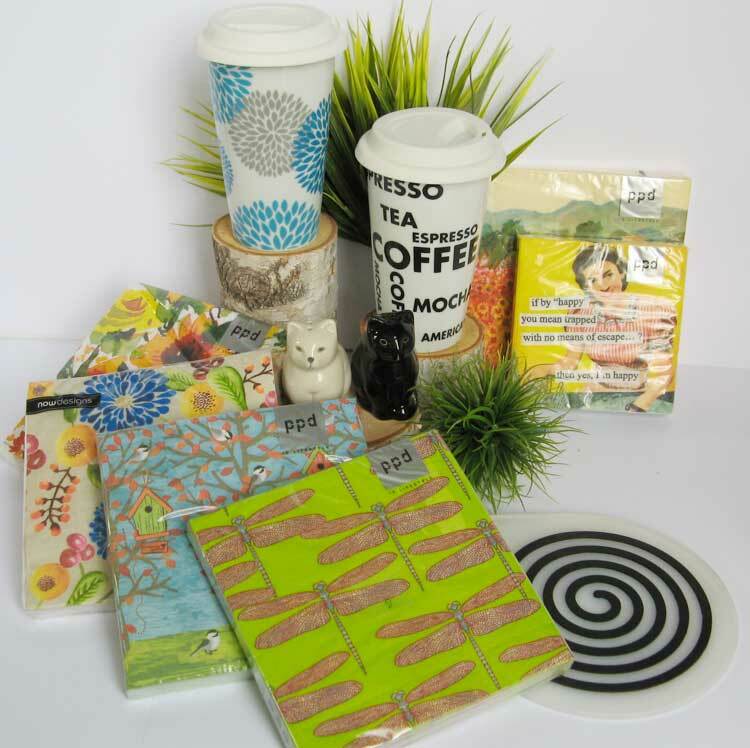 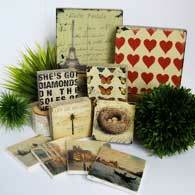 Each set of coasters is unique and beautifully handcrafted, complementing the work of Mother Nature. 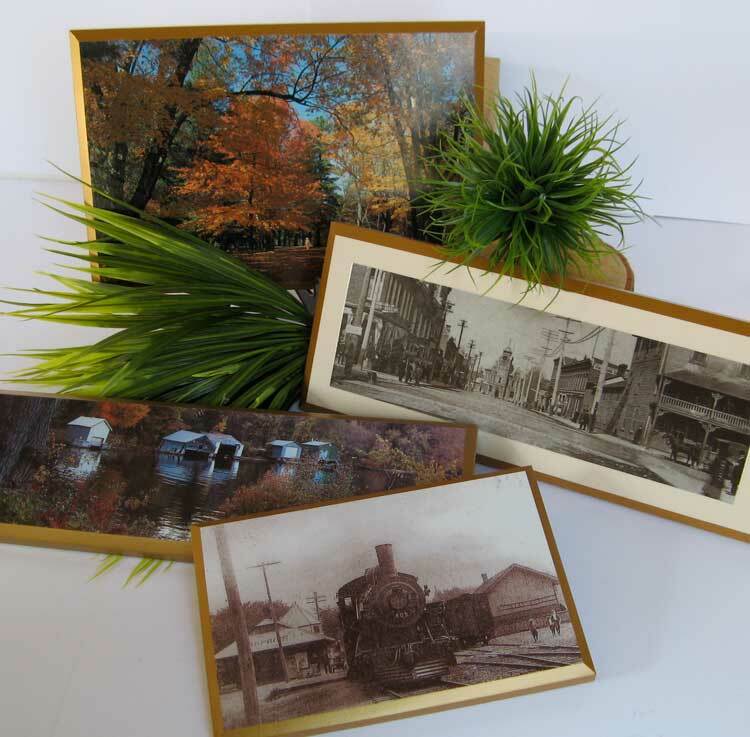 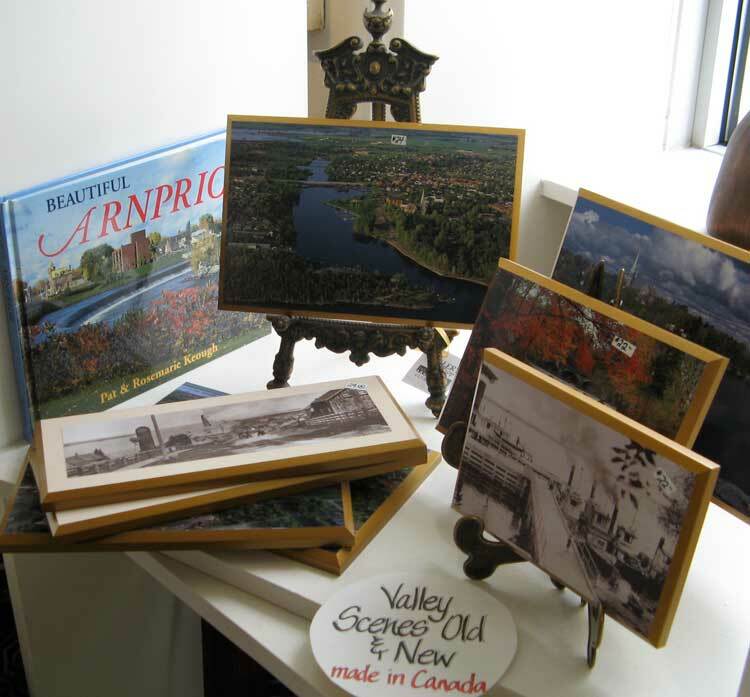 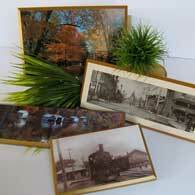 The museum under construction decades ago, logging operations on the Ottawa river, the old railway station, aerial views of Arnprior, snippets of life in and around this valley town are just some of the photos we sell as small laminations ready to be hung. 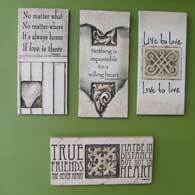 RK Productions, located in British Columbia,Canada, was created because of a love for sculpture and architecture. 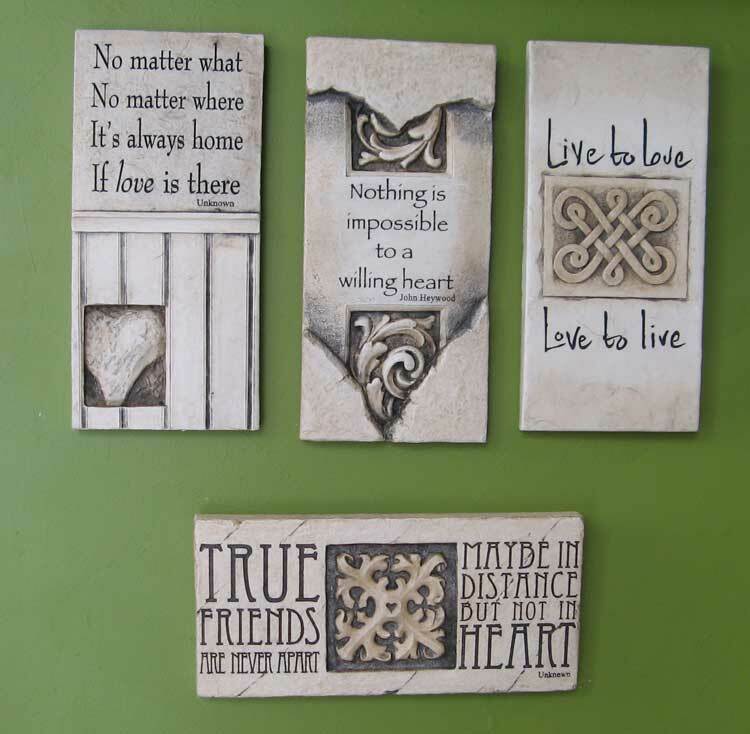 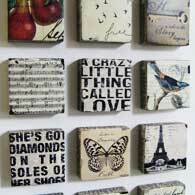 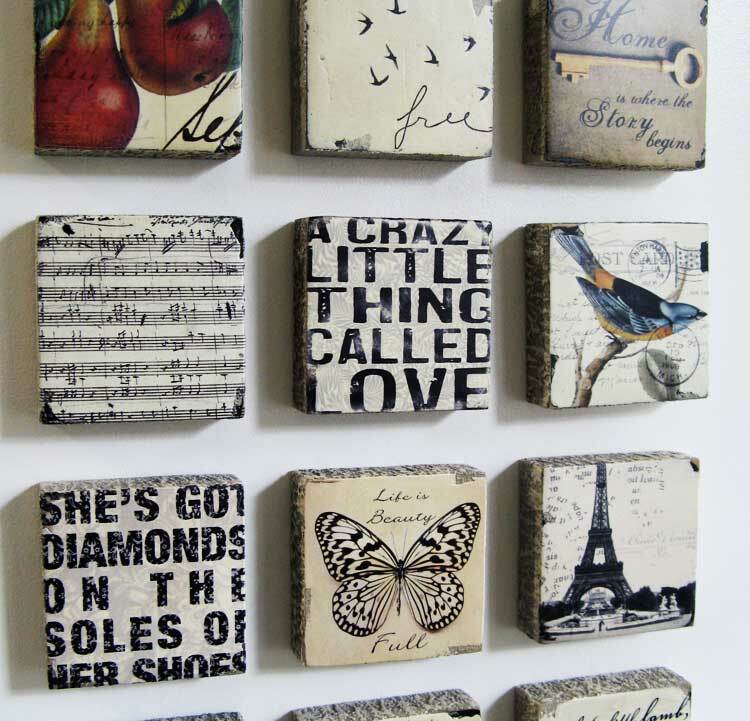 Wall-art, boxes, jewelry, candle holders, mirrors…each piece is a unique work of art, made of hand-cast stone. 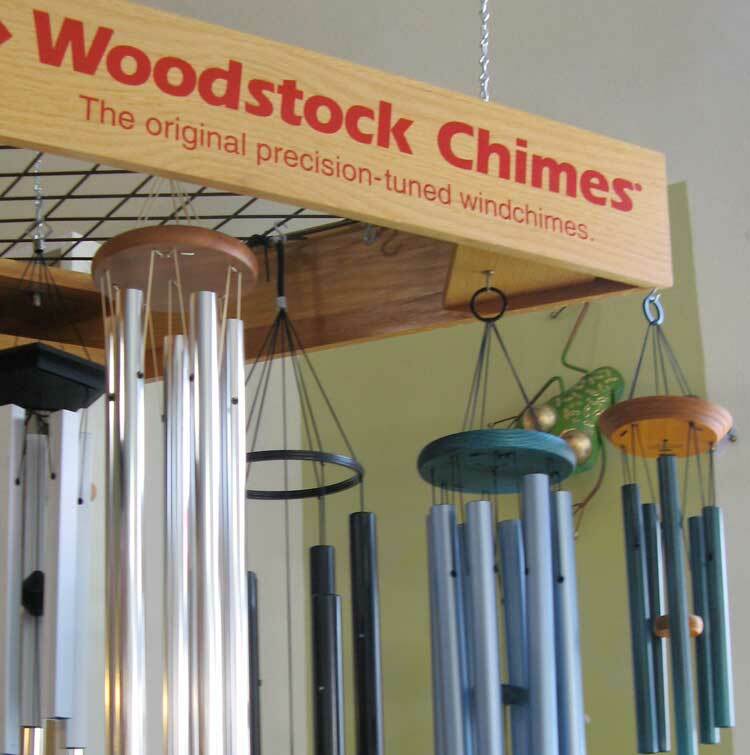 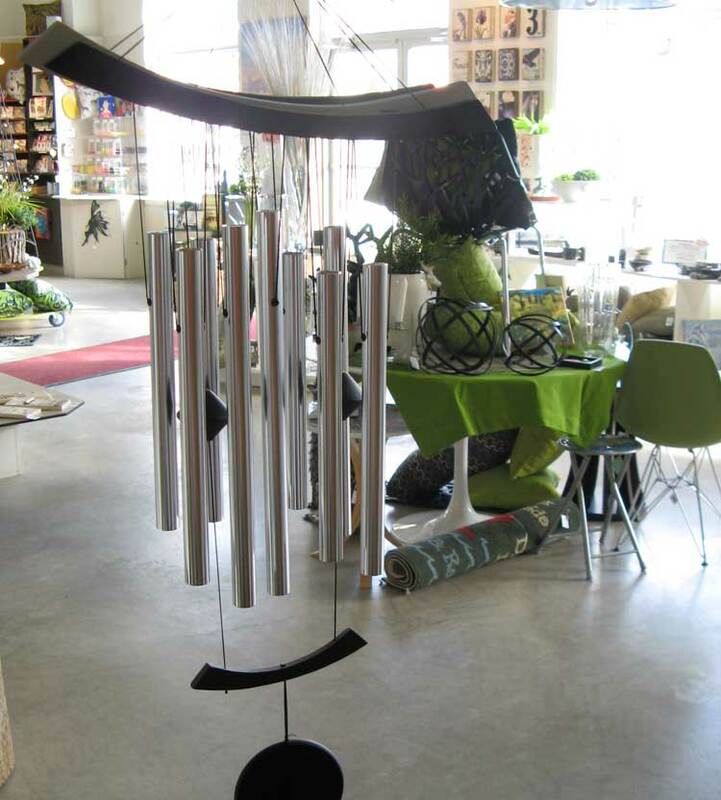 Woodstock Chimes of New York State makes precision-tuned windchimes, renowned for their sound, their quality and their beautiful appearance. 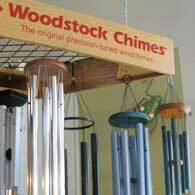 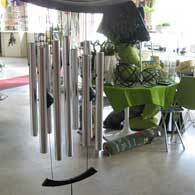 They continually delight with new, innovative designs for musical gifts powered by the wind.